Good news: We've extended the deadline to purchase the conference proceedings bundle at the discounted rate of $50 through August 31, 2018. Simply email info@aprahome.org with your interest, and we will coordinate your purchase. 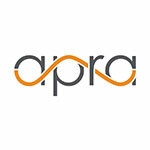 After August 31, individual session recordings will be available on Apra University for $49 for members and $79 for non-members. Take advantage of these savings now!